PEOPLE may feel 2015 wasn't a high profile year on the national GAA stage for Ulster, but the display of trophies at the Ulster GAA Writers' Association banquet in the Great Northern Hotel, Bundoran last weekend tells a different story. The glittering display of silverware on show included eight All-Ireland championship trophies, two inter-provincial awards and four National League cups. On top of that was the huge range of handball awards won at home and abroad by Paul Brady and Aisling Reilly, so it wasn't a bad season at all. Granted, Sam Maguire refused to come north this year, but those counties that won lesser championships appreciate what they gained just as much as senior football title winners appreciate their achievement. 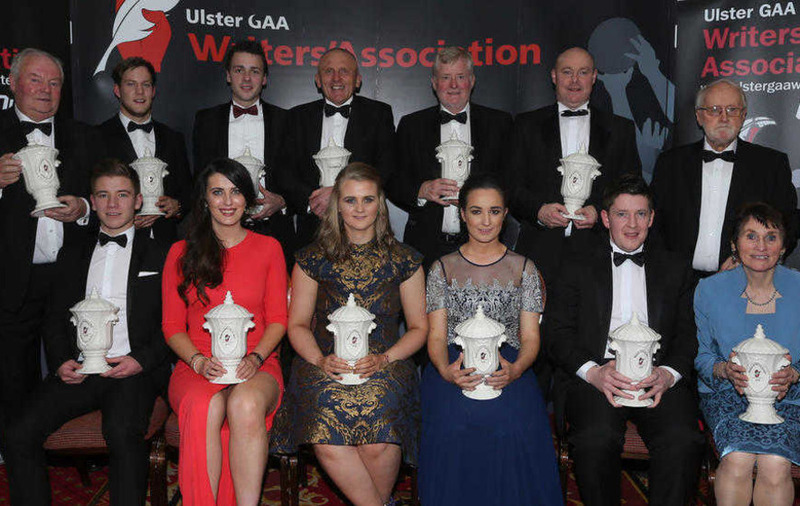 There was hurling history made this year as, for the first time in the 28-year history of the UGAAWA awards, no player from Antrim or Down was nominated for Hurler of the Year, with Derry, Tyrone and Fermanagh represented. 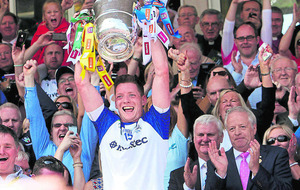 It was Tyrone captain Damian Casey who won the accolade. Monaghan topped the winners' list of awards, taking four of the 13, including Male Footballer of the Year in the person of Conor McManus, just ahead of Fermanagh's Seán Quigley and Mattie Donnelly from Tyrone. 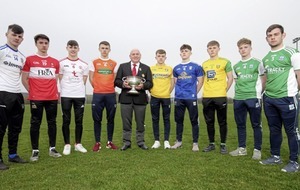 The O'Neill county came a close second with three awards, while Donegal got two, with the Services to the GAA gong awarded to 102-year-old Jack Hannigan from Stranorlar. Jack, who drives his car daily and is a pipe smoker, wasn't among the guests at the banquet but he appeared on video, with his quips bringing the house down. Antrim, Derry, Fermanagh and Cavan received one award each, with Breffni hero Paul Brady presented with the Chairman's Special Award for his record five men's World Open Handball Championships, spanning the last 15 years. Male Footballer of the Year: Conor McManus (Monaghan). Female Footballer of the Year: Geraldine McLaughlin (Donegal). Hurler of the Year: Damian Casey (Tyrone). Camogie Award: Karen Keilt (Derry). Handball Award: Aisling Reilly (Antrim). Team of the Year: Tyrone U21 footballers. Young Achiever of the Year: Mark Bradley (Tyrone). Communications Award: Pauric McGurn (Fermanagh). Personality of the Year: Malachy O'Rourke (Monaghan). Services to the GAA: Jack Hannigan (Donegal). Chairman's Award: Paul Brady (Cavan).